The Irish Sport horse, also referred to as the Irish Hunter, is a traditional horse breed out of Ireland. It is the product of breeding together the Irish Draught horse with Thoroughbred bloodlines, and is well-renowned for its speed, athleticism, and well-balanced temperament. As could be expected from a horse with these traits, Irish Sport horses are celebrated athletes and competitors. 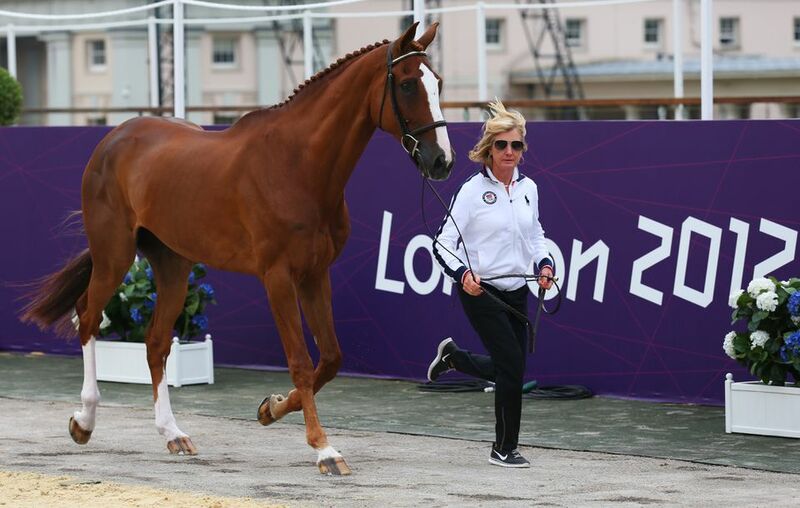 Other traits that define the Irish Sport Horse include intelligence, courage, and the possession of a calm demeanor. All of these characteristics make Irish Sport Horses ideal for everything from show jumping and dressage to hunting and leisure riding. The Irish Sport Horse breed is the result of several centuries of organized breeding between Thoroughbreds and the Irish Draught horse, a breed popular in Ireland as both a farming companion and a show horse. The intention was to create a breed of horse that would present with the best qualities of both types of horses—with the speed and strength of a Thoroughbred and the intelligence, stamina, and likeable personality of an Irish Draught Horse. In recent years, Irish Sport horses have been further bred to include the bloodlines of the well-muscled Warmblood. Today’s Irish Sport horses do seem to combine the very best of the traits that breeders were looking for. The breed’s outstanding athleticism and well-mannered personality have made it a popular show horse around the world, with many Irish Sport horses being exported to compete in show circuits around Europe and North America. They have also become popular family horses, since their temperament makes them suitable for riders of all ages and skill levels. However, despite their worldwide popularity, Irish Sport horses are actually quite a rare breed, with an estimate of just 2,000 purebreds in existence. Irish Sport Horses have well-proportioned bodies with a defined bone structure and a strong back and chest. They have a “Roman nose,” which is the term used to describe a muzzle with a convex profile. They also have a long neck, long ears, and large eyes. Both shoulders and croup are long and sloping, and the breed’s chest is deep and broad without seeming out of proportion with the rest of its body. Most noticeable is the breed’s muscularity, with distinguished definition throughout the hindquarter, chest, and back. Together, all of these features make the Irish Sport Horse a powerful athlete, with the ability to run and jump at exceptional speeds. Irish Sport horses range in size from about 15.3 HH to 17 HH, with an average weight of about 1,500 pounds. The typical lifespan for an Irish Sport Horse is around 30 years. The Irish Sport Horse is an incredibly versatile horse breed that excels in many uses. The most common of these uses are eventing, dressage, show jumping, fox hunting, and leisure riding. It is also well-suited to life on the farm, thanks to its Irish Draught horse ancestors. The breed is highly energetic and eager to learn new activities, making them open to uses beyond those that it is most well known for. Irish Sport horses come in a wide variety of solid coat colors. In fact, the breed is available in all solid colors except for skewbald and piebald. Common coat colors include: black, white, gray, brown, buckskin, champagne, cremello, palomino, perlino, dun, chestnut, grullo, and roan. The explanation for this wide range of color variability is due to the breed’s genes with dilute or broken color genes from its non-draught ancestors often making an appearance. The traits that define the Irish Sport horse are also the traits that have made it such a beloved horse in both the show circuit and among horse-loving families. These traits include obedience and docility, amiability, intelligence, and courage. Physically, the Irish Sport horse is known for being strong, fast, and versatile. Irish Sport horses are easy to maintain, though they have high energy levels that require regular exercise. Because they are quick learners, exercise can come in the form of many types of activities. There have been quite a few notable Irish Sport horses throughout the ages, with some of the most famous horses of the breed championing in the past several decades. Cruising: Perhaps the most well-known of all Irish Sport Horses, Cruising was a leader in competitive eventing and show jumping who racked up many successes at the Grand Prix. He is the sire of two other horses on this list: Mr. Medicott and Flexible. Mr. Medicott: A solid competitor who has appeared in two Olympic games. In 2008, Mr. Medicott was ridden by German Frank Ostholt in the Olympics in Beijing when Germany ranked first in eventing. In 2012, he was ridden in the London Olympic Games by U.S. rider Karen O’Connor, where he helped her rank ninth individually. Mr. Medicott was retired in 2018. Flexible: Named the 2012 USEF International Horse of the Year, Flexible was a dominate force in eventing up until his retirement at the age of 21. At the age of 19, Flexible and his handler won the SmartPak Grand Prix at HITS Thermal. Ballynoe Castle RM: Nicknamed “Reggie,” Ballynoe Castle RM has been a strong leader in eventing competitions since the early 2000s. He has competed in two World Equestrian Games, and placed both third and fourth at Rolex. Most notably, Ballynoe Castle RM made history as the United States Eventing Association’s highest scoring event horse of all time. Is the Irish Sport Horse Right for You? Because of its gentle nature and friendly personality, the Irish Sport Horse is considered to a be a good breed choice for all types of owners. Irish Sport Horses do require a lot of one-on-one attention, however, as they enjoy spending time with people and are known for being highly energetic. So while they are a relatively low-maintenance breed to care for, the right owner is one who will ensure they get a lot of exercise and individual care. Otherwise, you can checkout all of our other horse breed profiles.